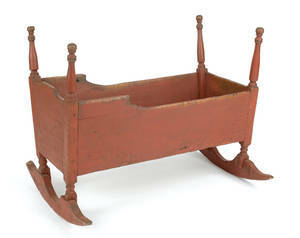 Realized price for 19th C. Pine Cradle. 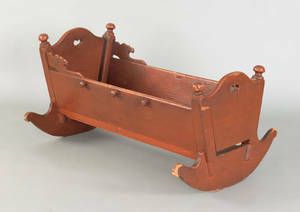 Rocking cradle in pin with two pierced handles. 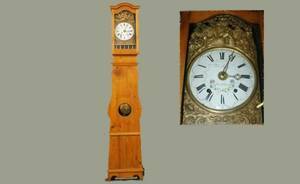 Height 13.5 inches, length 30 inches, depth 21 inches. 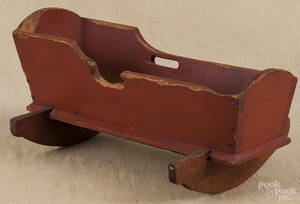 Provenance: From the Dorothy Poole Estate, Atlanta, Georgia. 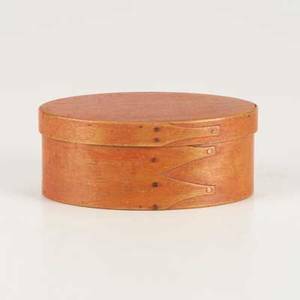 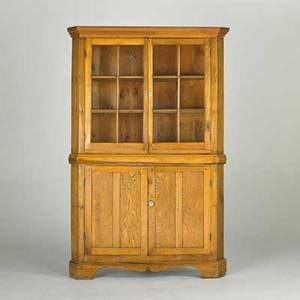 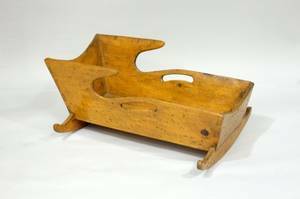 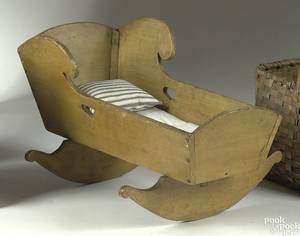 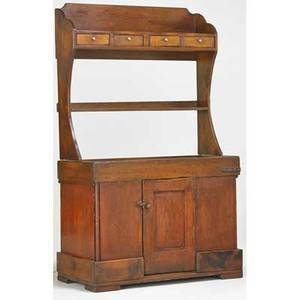 Archived auctions similar to 19th C. Pine Cradle. 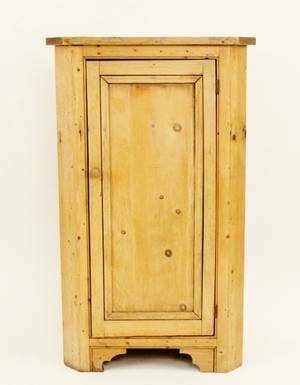 Minature shaker box; mount lebanon, ny, mid-19th c.; pine, maple, painted interior; unmarked; 1 3/4" x 4" x 2 3/4"
Country furniture; dry sink, 19th c. ; pine; 70" x 43" x 20"
Corner cupboard; 19th c.; pine, oak, glass and porcelain pulls; 77 1/2" x 50" x 23"
Pennsylvania pine cradle, 19th c.
Pennsylvania painted pine and poplar doll cradle, 19th c.